Large float with King of the Carnival riding atop in New Orleans, Louisiana Mardi gras celebrations. 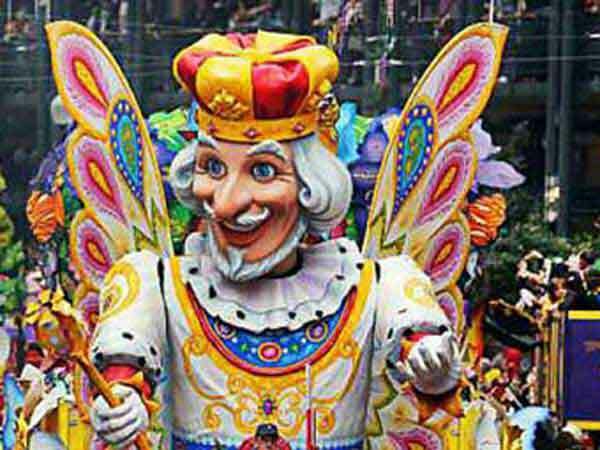 Mardi Gras for the year 2019 is celebrated/ observed on Tuesday, March 5th. Tuesday, March 5th is the 63 day of the 2019 calendar year with -1 month, -19 days until Mardi Gras 2019. When is Mardi Gras 2020? When is Mardi Gras 2021? When is Mardi Gras 2022?